Is capitalism entering a new era? What is the message of today's populist revolts? Democratic capitalism is an evolving system that responds to crises by radically transforming both economic relations and political institutions. The time for a new phase has come, regardless of whether “responsible” politicians are prepared to admit it. Yeats’ wrote those lines in January 1919, two months after World War I ended. He instinctively felt that peace would soon give way to even greater horrors. By the mid-1970s, America had lost the Vietnam war. The Red Brigades, the Weather Underground, the Irish Republican Army, and Italian neo-Fascist terrorists were staging attacks across the US and Europe. And President Richard Nixon’s impeachment had turned Western democracy into a laughing stock. 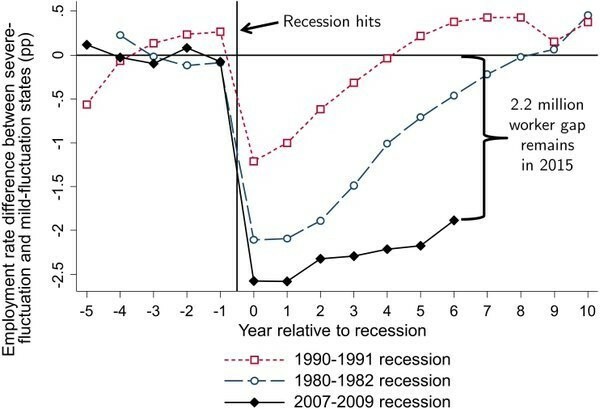 This is what happened when the elections of Margaret Thatcher and Ronald Reagan followed the great inflation of the early 1970s, and when the American New Deal and the “rough beast” of European rearmament emerged from the Great Depression. Each of these post-crisis settlements was marked by transformations in economic thinking as well as politics. The Great Depression led to the Keynesian revolution in economics, alongside the New Deal in politics. The inflationary crises of the 1960s and 1970s provoked Milton Friedman’s monetarist counter-revolution, which inspired Thatcher and Reagan. It therefore seemed reasonable to expect the breakdown of deregulated financial capitalism to trigger a fourth seismic change ( Capitalism 4.0, I called it in 2010) in both politics and economic thinking. But if global capitalism really is entering a new evolutionary phase, what are its likely characteristics? Acknowledging such thoroughgoing fallibility may seem paralyzing – and the current political mood certainly seems to reflect this. But recognizing fallibility can actually be empowering, because it implies the possibility of improvement in both economics and politics. It is obvious that new technology and the integration of billions of additional workers into global markets have created opportunities that should mean greater prosperity in the decades ahead than before the crisis. Yet “responsible” politicians everywhere warn citizens about a “new normal” of stagnant growth. No wonder voters are up in arms. People sense that their leaders have powerful economic tools that could boost living standards. Money could be printed and distributed directly to citizens. Minimum wages could be raised to reduce inequality. Governments could invest much more in infrastructure and innovation at zero cost. Bank regulation could encourage lending, instead of restricting it. But deploying such radical policies would mean rejecting the theories that have dominated economics since the 1980s, together with the institutional arrangements based upon them, such as Europe’s Maastricht Treaty. Few “responsible” people are yet willing to challenge pre-crisis economic orthodoxy. This article is published in collaboration with Institute for New Economic Thinking.